I purchased 10 sections in 1997 and my dock still looks like new. I’ve never been so satisfied with a product…especially after 22 years. The quality V-Dock is unmatched to any!! 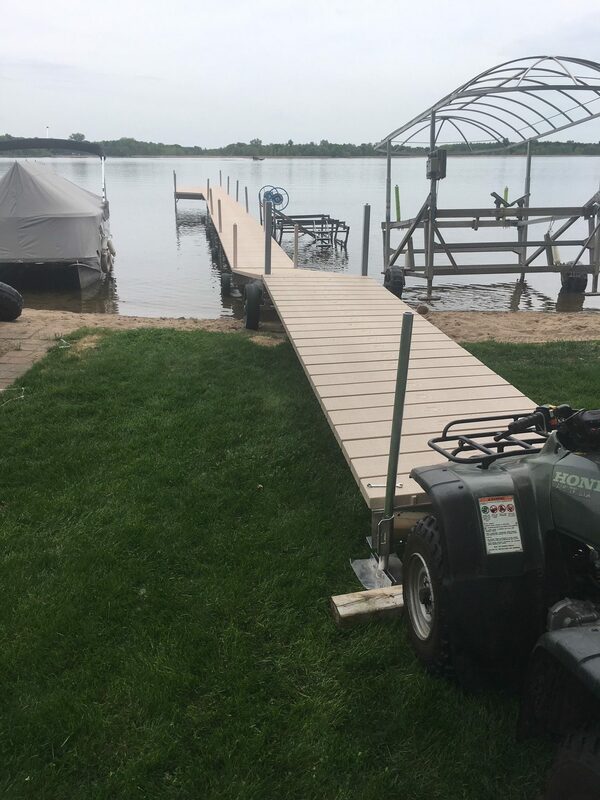 - Best dock you could possible buy bar none -Janice S.
We have been a customer for over 20 years and highly recommend V-Dock. We have added sections and accessories over the years. This year we had some wind damage and our insurance did not cover it. Luckily it was a V-Dock and even though we couldn’t get it replaced, we were able to repair it with only one piece. We never thought it could be good as new based on he way it looked when it was damaged. The customer service is great, too! 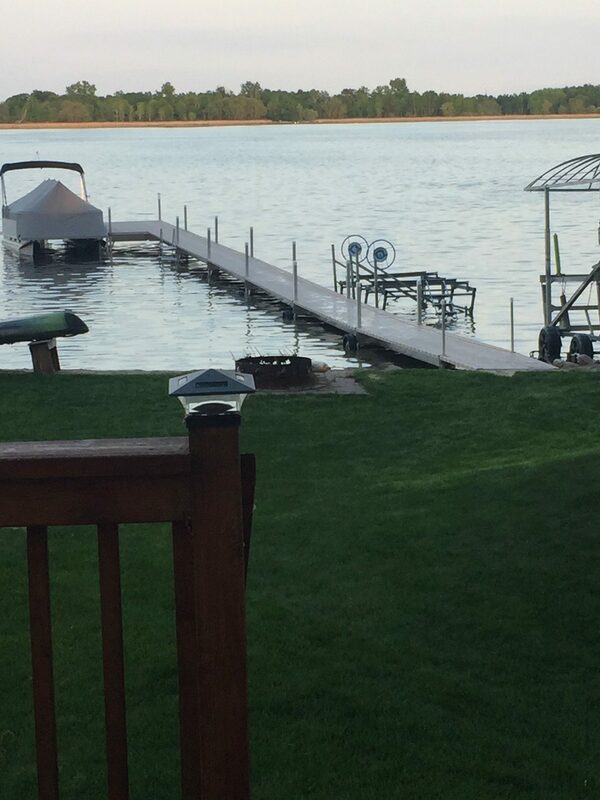 Rick, I had to take a minute to tell you how much we enjoyed our new V-Dock purchased this past spring. Everything from working with you in determining what we wanted, the convenience of having all of the sections preloaded on a trailer for us to take to the cabin, the ease of attaching the sections and almost effortlessly pushing the dock in with my husband and father-in-law, countless evenings sitting on the dock watching beautiful sunsets and catching the first of many fish to come and then finally my shock that in a mere 6 minutes the pins were pulled and the dock was pulled from the water for its winter storage. We spent countless hours at every sportsmen’s/recreational show researching and reviewing docks and I have to say that your product is by far the most superior of them all.